With the final days of school coming really fast I’m always looking for healthy snack alternatives for my girls. And let me tell you here in San Diego the weather is starting to get warmer and warmer every day. So when I’m looking for a refreshing, healthy and delicious alternative snack I know that Outshine Bars are a great option. So after school is very typical that we go to our local grocery store to buy some of the different flavors that Outshine Bars have and we love them all, my husband enjoys the yogurt bars and my girls are a big fan of the fruity flavors, my favorite is pineapple, but sometimes coconut just hit the spot. Okay, here are a few recommendations for those afterschool afternoons. 1- Take advantage of the long afternoons. Bring your kids outside, and enjoy the wonderful weather. This will help them better to deal with homework and chores. 2- Have some Outshine Bars on hand. Because Fruit Bars are made with real fruit or fruit juice and No GMO ingredients. 3- Make it at leat once a week a special fun day. Choose a day of the week that you feel is great for a game, the pool, the park, snacks and of course laugh and happiness. You can make the last days of schools the best ones ever, and the only thing you need is just the perfect and healthy snack. Outshine Bars are the perfect treat everybody love. Now go and check out their Instagram to see more creative ways to enjoy Outshine Bars. Can you believe is almost Fall season? I love this time of the year. All the change in the air, stores decorate windows with beautiful illustrations of turkeys, pumpkins and more; and the best part is all the delicious bake goods you can make. I have to share with you today one of the most easy, delicious, simple recipe, inspired by all the fall flavors you can find. This is a recipe I created with few ingredients because my little one loves to bake and my oldest daughter want me to create a recipe she can make with her sister and it did not require a lot of ingredients. So we start storming with ideas and one of my daughter mention lets make something with M&M’s® and that is how this recipe began to take shape. First we went to Walmart for a few ingredients all of them where pick by my girls because this are there favorites. We buy Mott’s® Apple Juice, Mott’s® Apple Sauce Original, Pillsbury™ Moist Supreme® Cake Mix and Pillsbury™ Creamy Supreme® Cream Cheese Icing, on the side I bought for me some Snapple® Apple Single you know to keep me cool during this process. I was so impress with my girls that we adventure and decide to buy the M&M’s® Pecan Pie 9.9oz, this pecan pie flavor is the perfect combination to our experiment. I want to mention also that this sticky bars are made with only this ingredients so you will be surprise how delicious this recipe is, and is perfect to make for all the upcoming school events and parties you are going to be attending. 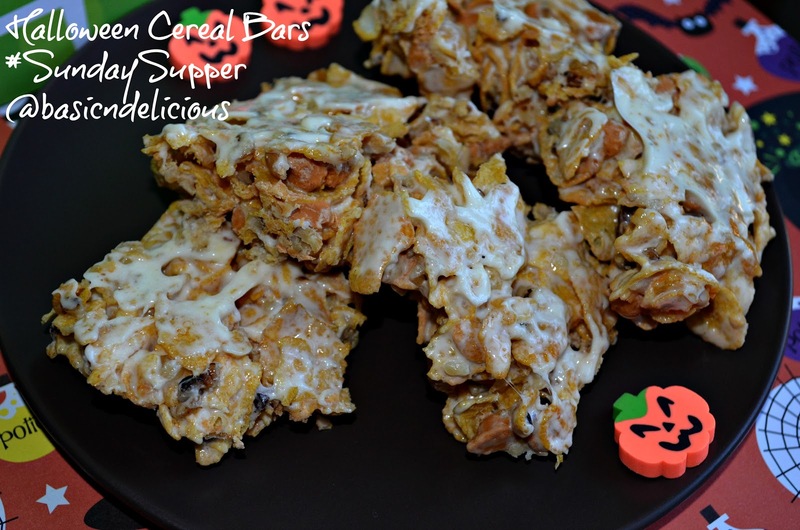 I love how we can connect making treats, this is my favorite part of fall, making memories with my daughter and also creating recipes that will be a great way for then to share with there kids some days. Oh I can’t forget, we have a Coupon for you; So go to Walmart and buy as many as you want M&M’s® Pecan Pie 9.9oz make the recipe and let me know how you like it. Grease and flour a 13×9 baking dish. In a bowl place the cake mix and add the apple sauce and the apple juice, mix until well combine. Place the mixture in the baking dish and spread evenly. Grap a bag of M&M’s® Pecan Pie 9.9oz and sprinkle over the cake, then place the other 1/2 bag in a bag and brake with the help of a roller, this little pieces will give the cake a nutty flavor. Bake for 28 minutes. Once ready immaterially place in a cooling rack to cool completely. Cut in little bars, place in a container and you can perfectly store them in the fridge. Enjoy with a cold glass of apple juice. This recipe makes 1 13×9 baking dish. Hello and welcome to another #TheLeftoverClub month, here we share delicious recipes with you and with each other. We send goodies and taste the real deal, no only we give you the recipe we also give you the experience. In this occasion I partner with the fabulous Ginger Stark from Stark Raving Delicious, a local California girl with great ideas and delicious recipes too. Know her allergy to dairy, I want it to make something different with a healthy approach and with the lest or zero dairy possible, and I think this chewy almond bars are the perfect idea. I really hope she likes them. And thank you so much for the goodies you send to me, I’m sure my family is also going to enjoy it. If you want to join The Leftovers Club just click and make sure to read all the rules or just send me an email and I will send the info to you. In a bowl combine oats, sugar, flour and “butter”, you can use a fork for this we just need to form little pieces like sand. Place half or the mixture in a square baking dish, and press well to form the base, then add the almond butter on top and cover with the other half of the oats mixture. Bake for 35 minutes. Wait until completely cool to cut in pieces and take it out of the pan. This is great for a afternoon pick me up, when you need a little energy. This is the most exciting we ever had in a long time, the M&M’s® Crispy are back to the market due to consumers request, and we are ready to share a lot of delicious ways to enjoy them. Delicious milk chocolate with a crispy rice center, so good, they’re back and only 180 calories per serving. Finally, you can taste what you’ve been missing M&M’s® Crispy is back and just as delicious as before bite size crispy delicious chocolate and rice in one. You can follow all the adventures that only M&M’s® Crispy can bring to you and also share and tasted the different recipes and ideas we are bringing today. To make sure the my family and me can enjoy the crispness and flavors of the product, I created this delicious and easy recipe, using the least possible ingredients to make the flavors of M&M’s® Crispy speak for them self; and let me tell you while I was making this bars, we could not resist snacking and some or maybe most of the them. That is why is very convenient to have both presentations, one for just snacking in a well deserved me time and the other for recipes and sharing. If you haven’t try them let me tell you that you can find M&M’s® Crispy in your local CVS Pharmacy in both presentations, and of course I invite you to share with your family and friends the recipe and the delicious momentus the only M&M’s® Crispy are bringing back to you. In the bowl of a stand mixer add sugar, oats, flour and mix, add the cold butter (cut the butter in pieces first) and mix until crumbs are form, by hand add the egg and reserve 1 cup of this mixture. In microwave safe bowl add the condense milk and heat it in the microwave for 1 minute then add the chocolate chips and mix until completely melted. Know in a 9×13 pan well grease, add the first flour mixture and spread well, then add the condensed milk mixture on top, to the remaining flour mixture mix almonds and M&M’s® Crispy and spread it on the top. Bake for 35 minutes, let it cool completely before cutting. This recipe makes 30 mini bars. Halloween is one of the times that most kids love, they can eat all the candy they want and dress of there favorite character. For this reason and many more the family of the #SundaySupper want to share delicious recipes to enjoy with your children for this celebration. Spectacular and delicious ideas that will help to change a bit and take a completely fresh homemade. I challenge you to come into this creepy and delicious day, and remember that this recipe is very easy and very Halloweenie too. In a saucepan melt the butter, add the condensed milk and marshmallows, stirring constantly until melted the marshmallows. Remove from heat and add the cereal, stir until it covers all the cereal, finally add the pecans and chips butterscotch, stir well. Place in a greased pan, spread well and refrigerate for 3 hours. Cut into bars and enjoy. This recipe makes 36 bars. An if you are in the mood for more Halloween goodies, here are more delicious recipes for you to enjoy. Bewitchingly Delicious Butterscotch Broomstick Cake Pops – Mama.Mommy.Mom. Please be sure you join us on Twitter throughout the day, this Sunday (October 28th) during #SundaySupper. We’ll be meeting up at 4:00 pm (PT) for our weekly #SundaySupper live chat where we’ll talk about all things Halloween. All you have to do is follow the #SundaySupper hashtag, or you can follow us through TweetChat. We’d also love to feature your favorite Halloween recipes on our #SundaySupper Pinterest board and share them with all of our followers, too.